Цель исследования – проанализировать данные научной литературы о диагностике и профилактике гнойно-воспалительных осложнений у пациентов после хирургического лечения заболеваний и травм грудного и пояснично-крестцового отделов позвоночника. Материалы и методы. Для анализа были использованы 55 источников, отобранных через поисковые системы eLIBRARY.ru и PubMed. Поисковые запросы: грудной и пояснично-крестцовый отделы позвоночника, гнойно-воспалительные осложнения, спондилиты, спондилодисциты, ожирение, хирургия стенозов позвоночника. Рассмотрены особенности лечения, профилактики и факторы риска возникновения гнойно-воспалительных осложнений у больных, оперированных по поводу позвоночно-спинномозговой травмы и заболеваний грудного и пояснично-крестцового отделов позвоночника. Заключение. Несмотря на большое количество публикаций, влияние следующих факторов на развитие гнойно-воспалительных осложнений остается неясным: ожирение, способ хирургического лечения, сроки дренирования послеоперационных ран, наличие хронических заболеваний. Требуется уточнение алгоритма диагностики, лечения и профилактики гнойно-воспалительных осложнений у пациентов после хирургического лечения заболеваний и травм грудного и пояснично-крестцового отделов позвоночника. 1. Гринь А.А., Крылов В.В., Лебедев В.В. и др. Профилактика и лечение осложнений у больных с травмой позвоночника и спинного мозга. В сб. : Общество «Спинной мозг»: сборник материалов 2-й ежегодной научно- практической конференции. М., 2003. С. 2–8. [Grin’ A.A., Krylov V.V., Lebedev V.V. et al. Prevention and treatment of complications in patients with spinal cord injury. In: Society the Spinal cord: collection of materials of the 2nd annual scientific-practical conference. Moscow, 2003. Pp. 2–8. (In Russ.)]. 2. Усиков В.Д., Лобода В.А., Фадеев Е.М. Ошибки и осложнения при оперативном лечении позвоночно-спинальной травмы. В сб. : Материалы III съезда нейрохирургов России. СПб., 2002. С. 221–222. [Usikov V.D., Loboda V.A., Fadeev E.M. Mistakes and complications in the surgical treatment of spinal injuries. In: Proceedings of the III Congress of Neurosurgeons of Russia. Saint Petersburg, 2002. Pp. 221–222. (In Russ.)]. 3. Шевелев И.Н., Гуща А.О., Конова- лов Н.А. и др. Травма позвоночника и спинного мозга. В кн. : Никифоров А.С., Коновалов А.Н., Гусев Е.И. Клиническая неврология. М., 2004. Т. 3. Ч. 2. С. 39–80. 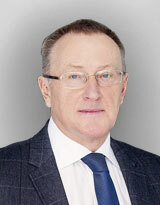 [Shevelev I.N., Gushcha A.O., Konovalov N.A. et al. Trauma of the spine and spinal cord. In: Nikiforov A.S., Konovalov A.N., Gusev E.I. Clinical neurology. Moscow, 2004. Vol. 3. Part 2. Pp. 39–80. (In Russ.)]. 4. Bianchi C., Ballard I.L., Abou-Zamzam A. et al. Anterior retroperitoneal lumbosacral spine exposure: operative technique and results. Ann Vase Surg 2003;17(2):137–42. 5. Lonstein J., Winter R., Moe J., Gaines D. Wound infection with Harrington instrumentation and spine fusion for scoliosis. Clin Orthop Relat Res 1973;96:222–33. PMID: 4584242. 6. Stovell M.G., Ellenbogen J., Piggot T., Barrett C. A comparison of benefit from lumbar microdiscectomy for primary disc disease in obese and non-obese patients. Eur Spine J 2013;22(Suppl 5: Eurospine 2013, 2–4 October, Liverpool, UK):S653. Available at: https://www.ncbi.nlm.nih. gov/pmc/articles/PMC3772152/ pdf/586_2013_Article_2944.pdf. 7. Complications of spine surgery. Treatment and preventions. Eds. : H.S. An, L.G. Jenis. Philadelphia: Lippincott Williams&Wilkins, 2006. P. 158. 8. Cruse P.J., Foord R. A five year prospective study of 23,649 surgical wounds. Arch Surg 1973;107(2):206–10. PMID: 4719566. 9. Richards B.S., Herring J.A., Johnston C.E. et al. Treatment of adolescent idiopathic scoliosis using Texas Scottish Rite Hospital instrumentation. Spine 1994;19(14):1598–605. PMID: 7939996. 10. Viola R.W., King H.A., Adler S.M., Wilson C.B. Delayed infection after elective spinal instrumentation and fusion. A retrospective analysis of eight cases. Spine 1997;22(20):2444–50. PMID: 9355228. 11. Sponseller P.D., LaPorte D.M., Hungerford M.W. et al. Deep wound infection after neuromuscular scoliosis surgery. Spine 2000;25(19):2461–6. PMID: 11013497. 12. Weinstein M.A., McCabe J.P., Cammisa F.P. Postoperative spinal wound infection: a review of 2391 consecutive index procedures. J Spinal Disord 2000;13(5):422–6. PMID: 11052352. 13. Levi A.D., Dickman C.A., Sonntag V.K. Management of postoperative infections after spinal instrumentation. J Neurosurg 1997;86(6):975–80. DOI: 10.3171/jns.1997.86.6.0975. PMID: 9171176. 14. Wimmer C., Gluch H., Frannzreb M., Ogon M. Predisposing factors for infection in spine surgery: a survey of 850 spinal procedures. J Spinal Disord 1998;11(2):124–8. PMID: 9588468. 15. Horowitz N.H., Curtin J.A. Prophylactic antibiotics and wound infections following laminectomy for lumbar disc herniation. J Neurosurg 1975;43(6):727–31. DOI: 10.3171/jns.1975.43.6.0727. PMID: 1194938. 16. Keller R.B., Pappas A.M. Infection after spinal fusion using internal fixation instrumentation. Orthop Clin North Am 1972;3(1):99–111. PMID: 5012590. 17. Rubinstein E., Findler G., Amit P., Shaked I. Perioperative prophylactic cefazolin in spinal surgery. A double blind placebo-controlled trial. J Bone Joint Surg Br 1994;76(1):99–102. PMID: 8300691. 18. Clark N.M., Hershberger E., Zervosc M.J., Lynch J.P. 3rd. Antimicrobial resistance among gram-positive organisms in the intensive care unit. Curr Opin Crit Care 2003;9(5):403–12. PMID: 14508154. 19. Dobzyniak M.A., Fischgrund J.S., Hankins S., Herkowitz H.N. Single versus multiple dose antibiotic prophylaxis in lumbar disc surgery. Spine (Phila Pa 1976) 2003;28(21):E453–5. DOI: 10.1097/01.BRS.0000090839.61893.BE. PMID: 14595175. 20. Polly D.W., Meter J.J., Brueckner R. et al. The effect of blood loss on intraoperative serum cefazolin levels in patients undergoing instrumented spinal fusion. A prospective controlled study. Spine 1996;21(20):2363–7. 21. Swank S., Lonstein J.E., Moe J.H. et al. Surgical treatment of adult scoliosis. A review of two hundred and twenty-two cases. J Bone Joint Surg Am 1981;63(2):268–87. 22. Swoboda S.M., Merz C., Kostuik J. et al. Does intraoperative blood loss affect antibiotic serum and tissue concentrations? Arch Surg 1996;131(11):1165–71. PMID: 8911256. 23. Capen D.A., Calderone R.R., Green A. Perioperative risk factors for wound infections after lower back fusions. Orthop Clin North Am 1996;27(1):83–6. PMID: 8539055. 24. Rechtine G.R., Bono P.L., Cahill D. et al. Postoperative wound infection after instrumentation of thoracic and lumbar fractures. J Orthop Trauma 2001;15(8):566–9. PMID: 11733673. 25. Klein J.D., Garfin S.R. Nutritional status in the patient with spinal infection. Orthop Clin North Am 1996;27(1):33–6. PMID: 8539050. 26. Glassman S.D., Dimar J.R., Puno R.M., Johnson J.R. Salvage of instrumental lumbar fusions complicated by surgical wound infection. Spine (Phila Pa 1976) 1996;21(18):2163–9. PMID: 8893444. 27. Jensen J.E., Jensen T.G., Smith T.K. et al. Nutrition in orthopaedic surgery. J Bone Joint Surg Am 1982;64(9):1263–72. PMID: 7142234. 28. Bagdade J.D., Root R.K., Bluger R.J. Impaired leukocyte function in patients with poorly controlled diabetes. Diabetes 1974;23(1):9–15. PMID: 4809622. 29. Massie J.B., Heller J.G., Abitbol J.J. et al. Postoperative posterior spinal wound infections. Clin Orthop Relat Res 1992;(284):99–108. PMID: 1395319. 30. Nolan C.M., Beaty H.N., Bagdade J.D. Further characterization of the impaired bactericidal function of granulocytes in patients with poorly controlled diabetes. Diabetes 1978;27(9):889–94. PMID: 689300. 31. Roberts F.J., Walsh A., Wing P. et al. The influence of surveillance methods on surgical wound infection rates in a tertiary care spinal surgery service. Spine (Phila Pa 1976) 1998;23(3):366–70. PMID: 9507627. 32. Simpson J.M., Silveri C.P., Balderston R.A. et al. The results of operations on the lumbar spine in patients who have diabetes mellitus. J Bone Joint Surg Am 1993;75(12):1823–9. 33. Stambough J.L., Beringer D. Postoperative wound infections complicating adult spine surgery. J Spinal Disord 1992;5(3):277–85. PMID: 1520986. 34. Jackson K.L. 2nd, Devine J.G. The effects of smoking and smoking cessation on spine surgery: a systematic review of the literature. Global Spine J 2016;6(7):695–701. DOI: 10.1055/s-0036-1571285. PMID: 27781190. 35. Veeravagu A., Patil C.G., Lad S.P., Boakye M. Risk factors for postoperative spinal wound infections after spinal decompression and fusion surgeries. Spine 2009;34(17):1869–72. DOI: 10.1097/BRS.0b013e3181adc989. PMID: 19644339. 36. Waly F., Alzahrani M.M., Abduljabbar F.H. et al. The outcome of using closed suction wound drains in patients undergoing lumbar spine surgery: a systematic review. Global Spine J 2015;5(6):479–85. DOI: 10.1055/s-0035-1566288. PMID: 26682098. 37. Rawlings C.E. 3rd, Wilkins R.H., Gallis H.A. et al. Postoperative intervertebral disc space infection. Neurosurgery 1983;13(4):371–6. PMID: 6633829. 38. Cunningham M.E., Girardi F., Papadopoulos E.C., Cammisa F.P. Spinal infections in patients with compromised immune systems. Clin Orthop Relat Res 2006;444:73–82. DOI: 10.1097/ 01.blo.0000201176.87635.f3. PMID: 16523130. 39. Silber J.S., Anderson D.G., Vaccaro A.R. et al. Management of postprocedural diskitis. Spine J 2002;2(4):279–87. PMID: 14589480. 40. Bono C.M., Kauffman C.P., Garfin S.R. Postoperative infection. In: The cervical spine. Ed. Ch.R. Clark. 4th ed. Philadelphia: LWW, 2005. P. 1170–1178. 41. Chaudhary S.B., Vives M.J., Basra S.K., Reiter M.F. Postoperative spinal wound infections and postprocedural diskitis. J Spinal Cord Med 2007;30(5):441–51. PMID: 18092559. 42. Becker W. The contribution of nuclear medicine to the patient with infection. Eur J Nucl Med 1995;22(10):1195–211. PMID: 8542906. 43. Peters A.M. The untiliy of Tc-99mHMPAO leukocytes for imaging infection. Semin Nucl Med 1994;24(2):110–27. DOI: 10.1016/S0001-2998(05)802260-0. 44. Сох Р.Н., de Schrijver М., Pillay Н., Chia N. The mechanisms of localization of 99mTc-nanocollids at sites of inflammatory disease. Eur J Nucl Med 1991;18:670. 45. Патент на изобретение № 2290952/ 10.01.2007. Килина О.Ю., Завадовская В.Д., Дамбаев Г.Ц. и др. Средство и способ диагностики гнойно-воспалительных процессов. [Patent RUS № 2290952/10.01.2007. Kilina O.Yu., Zavadovskaya V.D., Dambaev G.Ts. et al. Agent and method for the diagnosis of inflammatory processes. (In Russ).]. Доступно по: http://www.findpatent.ru/patent/ 229/2290952.html. Ссылка активна на 17.03.2018. 46. Dipaola C.P., Saravanja D.D., Boriani L. et al. Postoperative infection treatment score for the spine (PITSS): construction and validation of a predictive model to define need for single versus multiple irrigation and debridement for spinal surgical site infection. Spine J 2012;12(3):218–30. DOI: 10.1016/ j.spinee.2012.02.004. PMID: 22386957. 47. Mehbod A.A., Ogilvie J.W., Pinto M.R. et al. Postoperative deep wound infections in adults after spinal fusion: management with vacuum-assisted wound closure. J Spinal Disord Tech 2005;18(1):14–7. PMID: 15687846. 48. Horan T.C., Culver D.H., Gaynes R.P. et al. Nosocomial infections in surgical patients in the United States, January 1986 – June 1992. National Nosocomial Infections Surveillance (NNIS) System. Infect Control Hosp Epidemiol 1993;14(2):73–80. PMID: 8440883. 49. Picada R., Winter R.B., Lonstein J.E. et al. Postoperative deep wound infection in adults after posterior lumbosacral spine fusion with instrumentation: incidence and management. J Spinal Disord 2000;13(1):42–5. PMID: 10710149. 50. Abbey D.M., Turner D.M., Warson J.S. et al. Treatment of postoperative wound infections following spinal fusion and instrumentation. J Spinal Disord 1995;8(4):278–83. PMID: 8547767. 51. Pappou I.P., Papadopoulos E.C., Sama A.A. et al. Postoperative infections in interbody fusion for degenerative spinal disease. Clin Orthop Relat Res 2006;444:120–8. DOI: 10.1097/ 01.blo.0000203446.06028.b5. PMID: 16523136. 52. Labler L., Keel M., Trentz O., Heinzelmann M. Wound conditioning by vacuum assisted closure (V.A.C.) in postoperative infections after dorsal spine surgery. Eur Spine J 2006;15(9): 1388–96. DOI: 10.1007/ s00586-006-0164-2. PMID: 16835734. 53. Rohmiller M.T., Akbarnia B.A., Raiszadeh K. et al. Closed suction irrigation for the treatment of postoperative wound infections following posterior spinal fusion and instrumentation. Spine (Phila Pa 1976) 2010;35(6):642–6. DOI: 10.1097/BRS.0b013e3181b616eb. PMID: 20139811. 54. Яриков Д.Е., Басков А.В. Передний доступ для стабилизации шейного отдела позвоночника. Нейрохирургия 2000;(1–2):32–9. [Yarikov D.E., Baskov A.V. Anterior access for stabilization of the cervical part of the spine. Neyrokhirurgiya = Russian Journal of Neurosurgery 2000;(1–2): 32–9. (In Russ.)]. 55. Palmer Ch.W., Jones Ch.I., Park D.K. Postoperative infections of the spine. Sem Spine Surg 2016;28(3):134–42. При поддержке: Авторы выражают благодарность директору университетской клиники МГСМУ им. А.И. Евдокимова акад. РАН проф. Крылову В.В., директору НИИ скорой помощи им. Н.В. Склифосовского проф. РАН С.С. Петрикову за административную поддержку исследования, к.м.н. А.Ю. Кордонскому за научную консультацию и исправления в процессе написания статьи.